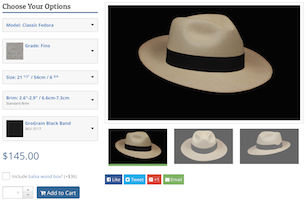 Finer woven then our Fino fino Panama hats can only be woven with the finest straw and by a very skilled craftsman due to the extremely fine weave. This hat can have 1000+WPI! Amazing it ever existed! This is a special order item so please have patience with this one. Send us your question about this Montecristi Special Reserve Classic Fedora hat, and we will respond to you as soon as possible.